Would you like to affiliate with ? Thank you for the favourite! Can I please join? 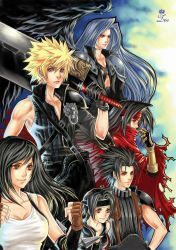 I've loved FF since I was 11 and it's been with me for six whole years! Go FF!